Every month, we lose the equivalent of a sandwich or a really nice cup of coffee to the modem rental fee that we give to an ISP. But it doesn’t have to be that way. Most ISPs charge anywhere from $4 to $7 per month for the modem that brings you Internet access—and you have to return it when you cancel your service. But most ISPs also let you buy your own modem, which is fairly easy for the average computer user to hook up. Some special modem types—like fiber or satellite—aren’t easily replaceable yet, but the vast majority of us can ditch our rented modems and reap some substantial benefits in the process. Installing your own modem will likely save you money. Though purchasing a new modem requires an initial investment of $50 to $100 (or more for a modem/router combo), your savings on rental fees will enable you to recoup the investment within one to two years. Since most people use the same modem for five to ten years, buying your own is definitely a moneysaver long-term. The modem your ISP gave you probably gets the job done, but let’s face it: You can do better. Plus, if you shop around you can probably find a better modem than the one your ISP sent you. Your rental modem could be an older or even used model that doesn’t support the newer technology used by your ISP. Upgrading to a newer modem may give you faster speeds, especially if you’re subscribed to one of the higher-speed packages. But also understand your ISP will likely upgrade or replace your rental modem for free in these cases as well. Many ISPs also limit your access to the Web-based control interface of rental modems, which can hamper your efforts to monitor or tweak your network. 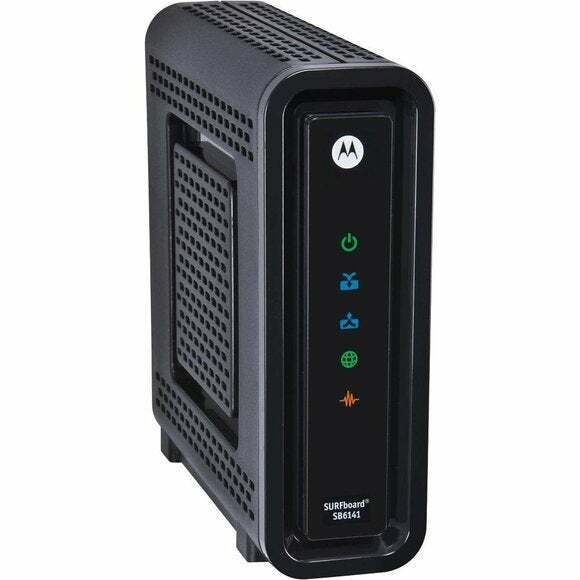 Buy your own modem and you’ll have full access, which can be useful for checking traffic logs and signal quality or troubleshooting Internet issues. If you really want to get your hands dirty, you can even play around with third-party firmware like Haxorware. If you’re feeling ambitious, flashing your modem with third-party software like Haxorware can get you some performance improvements. Finally, the most pragmatic reason to buy your own modem is to replace a busted one. When you rent a modem, your ISP usually provides free support and replacement services. But if they can’t fix or replace it quickly and you need Internet access right away, it’s probably worth taking the time to buy a modem off the shelf at your local electronics store and hook it up yourself. With freedom, of course, comes responsibility. Your ISP likely won’t offer support if you have problems with your modem, and you’ll have to replace it yourself—or start renting again—if it stops working. Also, remember that the modem must support your current Internet connection. Switch from cable to DSL (or vice versa), for example, and you’d have to invest in another modem or start renting one again. Before you hit the streets to start shopping for a modem, check your ISP’s terms regarding the use of customer-owned modems and see if it supplies a list of recommended or approved models. Many ISPs (like Comcast, Time Warner, Cox, and AT&T) even offer this information on their websites. Some give just a simple list, while others recommend specific models for the different speed packages they offer. If you have a cable Internet connection, the biggest spec to compare when shopping for a modem is the version of DOCSIS standard it supports. Some cable ISPs currently support DOCSIS 2.0, and are (or will be) upgrading their infrastructure to DOCSIS 3.0 to provide faster speeds and better performance, especially if you subscribe to their higher-speed packages. You can call your ISP to see which DOCSIS version it supports. Even if your ISP is still on 2.0, you probably want to prepare for the future and upgrade to a modem that supports DOCSIS 3.0, like the Motorola SURFboard SB6141 or the Zoom 5341. Buying the latest modem can net you a tidy performance increase if your Internet package benefits from support for new networking technology like DOCSIS 3.0. 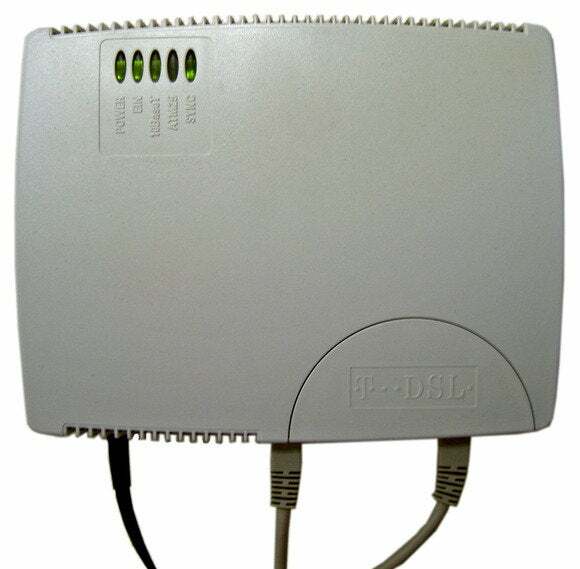 If you have a DSL Internet connection, note that there are different types and versions of DSL, and you need to buy a modem that’s compatible. Check with your ISP to figure out its specific type, but residential connections typically use ADSL, ADSL2, or ADSL2+ (in order from oldest to newest), and business connections could also use SDSL or VDSL. Consider investing in a modem that also supports a newer type of DSL, so you’ll be prepared if your ISP upgrades its system. When shopping for a modem you might find modem/router combinations, commonly referred to as gateways, like the Motorola SURFboard Cable Gateway SBG6580 or the Actiontec DSL Modem Router GT784WN. These include the modem function to connect to the ISP and a wireless router function, so you can share the connection among multiple computers and devices wirelessly or by plugging them into the ethernet ports. Gateways are more convenient than installing a modem and router separately, but you can’t tweak them as much as you could a discrete modem or router. If your ISP has supplied you with a gateway instead of a simple modem and you intend to use your Internet access for more than one device, you should either buy another gateway or buy a separate modem and wireless router. Gateways are very convenient since there’s only one device to set up, but if you want the best wireless router features and performance you should consider purchasing them separately. If you buy your own router, I recommend consulting our guide to enhancing it with open-source firmware if you want to get the best performance possible. Installing or replacing your modem is usually a fairly straightforward process. You can follow the instructions that come with the new modem, but frankly you can probably figure out what to do just by looking at your existing modem and swapping it for the new one. Once you’ve done that, you may have to call your ISP and provide the modem’s MAC address to activate your Internet connection. You can usually find your modem’s MAC address printed as a twelve-digit number on the back of the modem itself, usually with a prefix like MAC or CABLE MAC. If you bought a gateway or a modem/router combo, you’ll also have to set up your new wireless network before you can connect your devices and start enjoying your sweet new bandwidth.